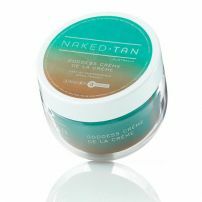 commented on "Naked Tan Goddess Crème de la Crème 150ml"
Deeply nourishing Body Butter increses longevity of your tan. 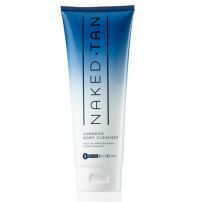 commented on "Naked Tan Goddess Bronzing Mousse 180ml"
commented on "Naked Tan Goddess Gradual Tan 150ml"
commented on "Naked Tan Goddess Self Tan"
commented on "Naked Tan Goddess Body Exfoliator"
commented on "Naked Tan Goddess Body Cleanser"
SLS Free -Doesn't strip your tan! 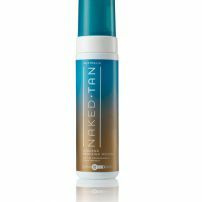 commented on "Naked Tan Goddess Instant Tan"
Formulated to match every skin type, this professional Instant tan will give you a natural, bronzed tan colour that will last for up to 24 hours. 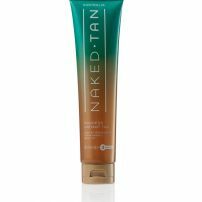 The shimmer in Goddess Instant Tan will highlight and enhance your tan.